Not sure how this happened, but I have three new mares, boy am I in trouble! The pics on the site are bad, but I hope to have new ones in a month or two when they come home. 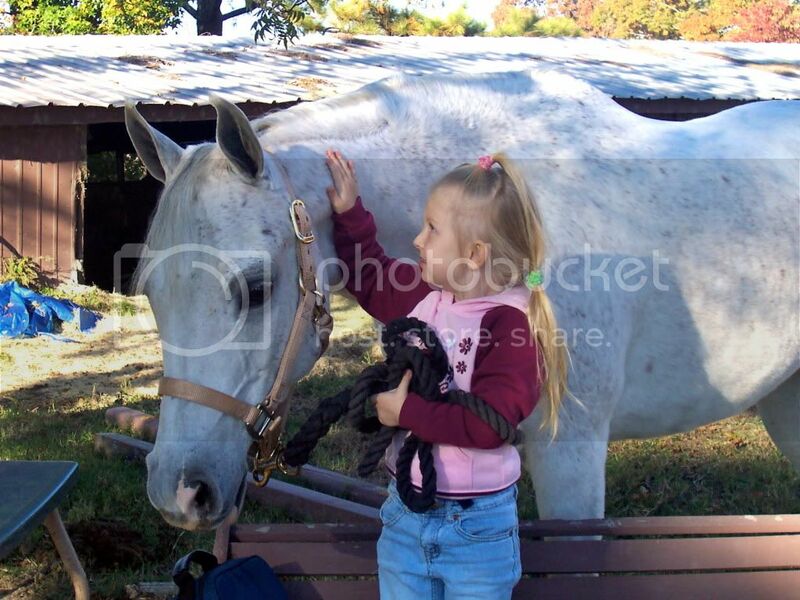 Right now I am boarding them away from all horses until I can be sure they didn't bring anything home with them. It is a long story, but I didn't just decide I needed more mares. These girls needed me. Their owner was forced (and I do mean forced) to sell them due to some clause in her father's will and her brother being executor. He put them in a stock horse sale. She called a friend for help and her friend called me. So, knowing I didn't need more horses but that they weren't likely to find a good home we went and brought home three girls. Anything arabian we couldn't bid on .... let's just say those ones didn't find homes. Our girls were well taken care of up until the sale. I won't post this information elsewhere, I the poor gal that owned them has been through enough. I do not plan to sell the girls at this time, they deserve some security for a little while. But, perhaps that explains how I ended up with three extra mares and know so little. I was told papered arabian mares and... once I met them I couldn't let them go. We didn't win the bid on Czamara due to our inexperience in auctions, but we did still manage to get her off the truck. The sale was in Montana, so just a short hop over the canadian boarder for the Killers. Let us know when you are ready to add a little Flair to your barn. All three are incredibly athletic pedigrees. I think we have underutilized good ole Polish lines to ensure athletic ability in favor of other traits these days. Betcha they have good structure and sound legs and hooves too. What's not to like with that ? They are athletic girls, I can see that in them already! I love them and they are sweethearts! Thanks for looking and thanks for the imput. Czamara can come live with me ANYTIME! Lovely additions to your Flair Park Family!! THANKS! We are excited to have them here, now we just have to plan their futures. Right now the plan is to keep them, but since Czamara is gray that makes her future an interesting one. Try for a gray pintabian? Might be fun. Cross her with my egyptian boy? That would be a gorgeous purebred. So many options. We do hope to start her show career. She was taken to shows as a young mare, but hadn't been entered. She is supposed to be trained for Country. So I guess I need some new riding lessons. All I know is Hunt! We didn't win the bid on Czamara due to our inexperience in auctions, but we did still manage to get her off the truck. First, congratulations on the addition of these mares! Just curious as to how it works since you didn't win the bid, but you ended up bringing her home. Is there is good tip to be shared? Do you try to purchase from the winner? Congrats, you did VERY good getting them at the auction! Czamara is a FULL SISTER to a mare I currently own that is out on lease, Czantoria. I'm not sure of your plans, but if breeding is in the future, DEFINITELY get them all tested for CA. My mare's test came back as her being a Carrier. Here is a photo of Czantoria with my daughter (then 3 yrs old) when we first got Czantoria in November 08. We thought the bid had went high enough that it couldn't be a killer fighting to get her and we were happy to let her go to someone who wanted her. We didn't realize the person who won her was a killer so we went up to the office when we found out and told them " I am not sure what happened, I thought I won this horse and was still bidding but she isn't on my sheet?" And they told me who won her. We cornered him and begged to be let to have her and he made us pay about 5 bid prices higher but he let us get her. We paid him off of the books and then he had her switched over to us. They frown on this, but we couldn't let her get taken once we figured it out. Thank you! It is wonderful to have photos! Thanks so much, any more that you can find would be much appreciated. I will have to go back and look a bit more at your site. THANKS! The first two are Pure Polish and the last one listed (Harmada?) is sired by a PP stallion that was owned by George Altenberg, then leased to Magness for a few seasons. The dam is Straight Russian on Harmada. These are TERRIBLE horses and you should send the two PP mares here NOW, so you will not be humiliated by their presence! HURRY! I seek only to save you the shame of being caught owning them! P.S. You are a freakin' angel, btw, and may God bless you up one side and down the other for saving these girls!!! SMOOCHES!!! Congrats, you did VERY good getting them off that truck! Thanks, They are gorgeous girls and so sweet. I am almost at full capacity again, but I can't make myself feel guilty. Lovely girl you have there! My mare isn't being bred while out on lease.. just being used for their lesson program and giving them the option to purchase her also.